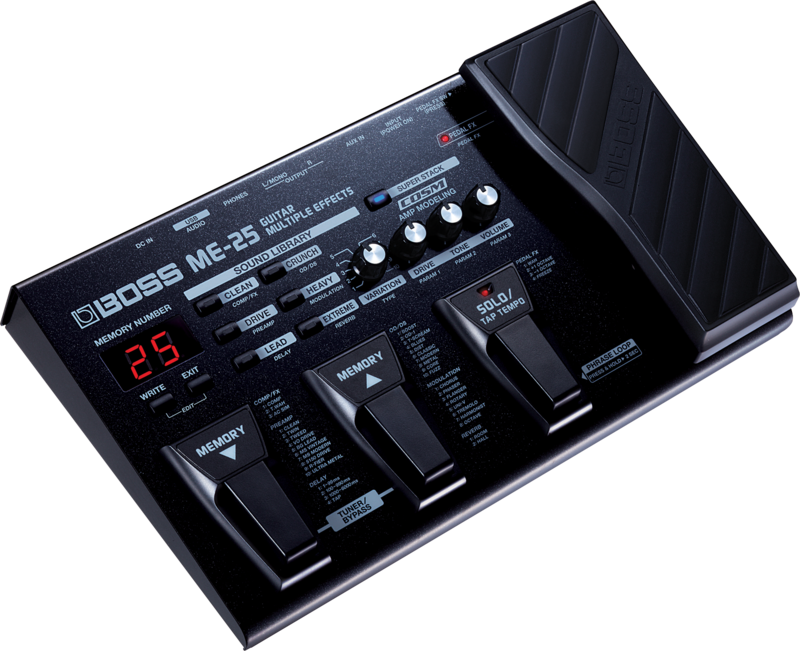 Congratulations on your purchase of the BOSS ME-25 Guitar Multiple Effects unit. With its built-in sound library, COSM amp modeling, and fully customizable guitar effects, the ME-25 is a guitar tone dream machine for the practicing guitarist. All you need to do is click the "Redeem" button below, then register for your free account, and you'll be free to explore the amazing content we have to offer. When your free trial period expires, you can choose to continue using your G-PASS for our low, introductory rate of just $9.99 per month. For even greater savings, sign up for a full year of G-PASS for just $99.99! Following is a list of 80 classic hits for which the tone experts at BOSS have created the matching guitar sounds (available for download into your ME-25 at BossToneCentral.com).